Current Palladio Zannini Group is the result of a long process started over 65 years ago, in 1946, when in Vicenza the Marchi family launches a solid industrial project in the packaging field. Over the years, Palladio I.G.C. has been developing its activity mainly specializing in the production of pharmaceutical packaging. In 2004 Palladio took over Grafica Zannini, another important supplier of Pharma Packaging (with factories in Italy, Serbia and Ireland) and at the beginning of 2011, the merger of the two companies led to the establishment of new Palladio Zannini I.G.C. S.p.A., introduced in this interview by its Managing Director, Mr. Mauro Marchi, on this occasion together with Corporate Marketing Manager, Mr. Paolo Procelli. Mr. Marchi, what are your markets and customers? We have always been specializing in the production of packaging for the pharmaceutical industry, to which we supply cartons, labels, leaflets, booklets, aluminium for blisters. The availability of these products’ full range , solid know-how acquired over time and high output allow Palladio Zannini to provide not only for all major multinational pharma industry, both generic and traditional, but also a broad and diversified portfolio of every type and size of businesses (contractors, medium and small businesses …) in Italy and Europe. 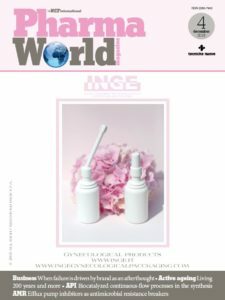 The pharmaceutical and healthcare sectors generally remain our core business, but we are also present in the cosmetic industry and we do not exclude expanding on other markets. How do you propose yourselves to clients and how is service managed? Palladio Zannini Group presents itself as a full multi-site and multiproduct service provider, totally client-oriented. Our “mission” aims at creating value in the supply chain in a sustainable, innovative and secure mode. This is realized day after day not only by providing high quality products with a targeted service, flexible and punctual, but also by supporting clients with proactive advice that stems from the know-how gained over many years, indeed decades, of activity. For example our Artwork Service Centre, with headquarters at the Serbian factory, is able to offer full-service technical consulting: thanks to an experienced team with both technical and creative skills, we are able to meet the needs of design and development of artwork for various components of printed material. Today, more than ever, in an increasingly difficult and competitive market context, clients need an optimum service in all phases of the relationship with the supplier, from pre to post sale. We have a Research & Development Division able to support clients in all issues related to packaging, both for design and tests, sampling and material choice. All Supply Chain management is another great strength of our offer, thanks to the added value created through kit systems, artwork performance and managing, VMI (Vendor Managed Inventory), labeling service, anti-counterfeiting systems. For the latter we developed, both in-house and through international partnerships, various systems that aim at providing an adequate response to the needs of traceability, anti-counterfeiting and “data storage” of healthcare, pharmaceutical products and cosmetics.